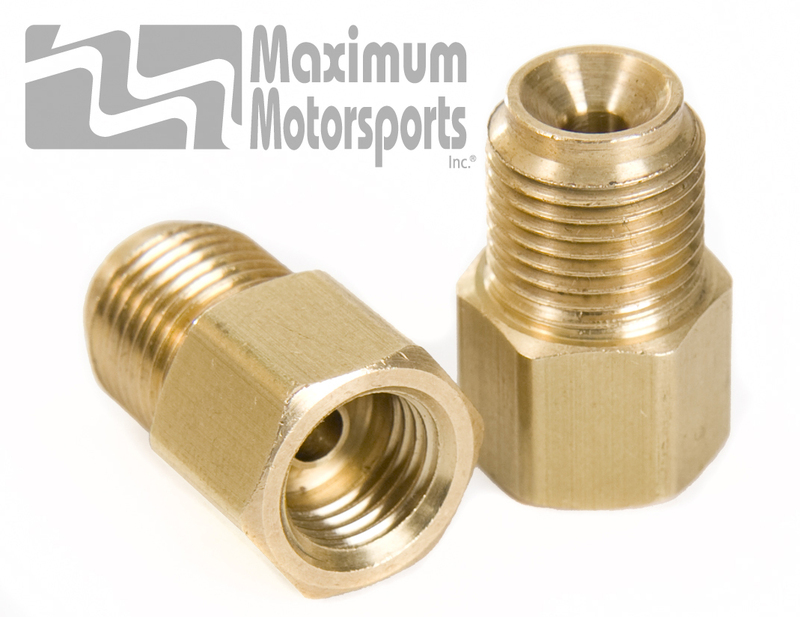 Adapter fitting kit to connect the stock 1979-93 Mustang drum brake rear hard-lines to 1994-95 Mustang rear disc brake caliper hoses. Use when converting from rear drums to rear discs for improved braking performance. Retain original rear axle hard-lines. Requires shortening the hard-line by bending it into a coil, or by cutting and flaring it. Stainless steel braided rear disc brake caliper hoses are available. Fits only the 1994-95 Mustang rear caliper hoses. Does not fit any other Mustang rear caliper hoses.